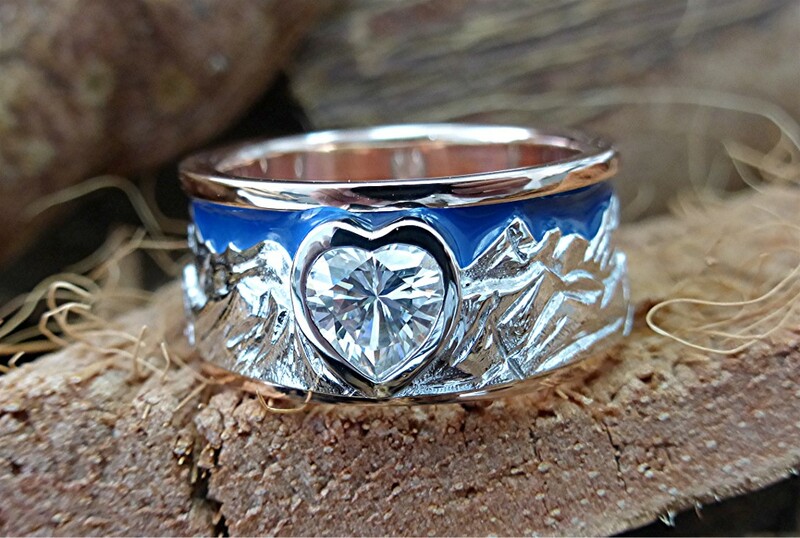 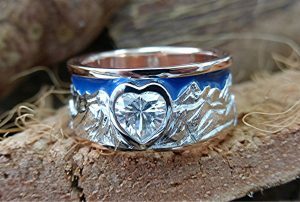 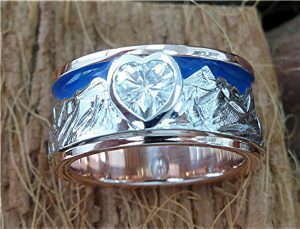 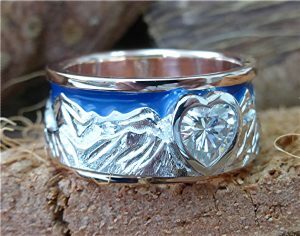 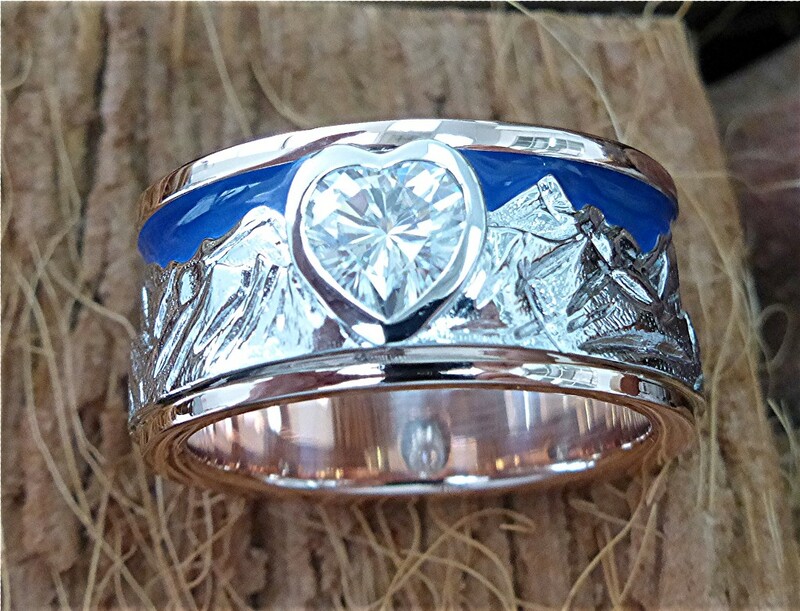 14k rose and white gold ring with bezel set 6mm heart shape moissanite with blue enamel. 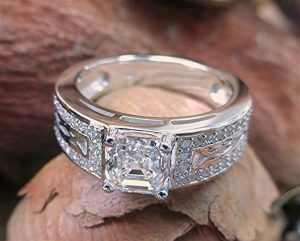 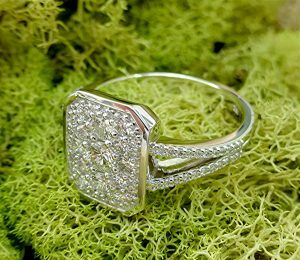 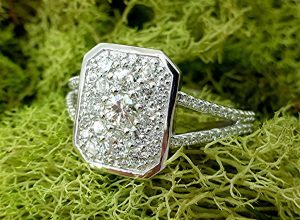 The 25 round diamonds are inherited stones which are reused in customer’s design idea of an octagon shaped cluster top ring. 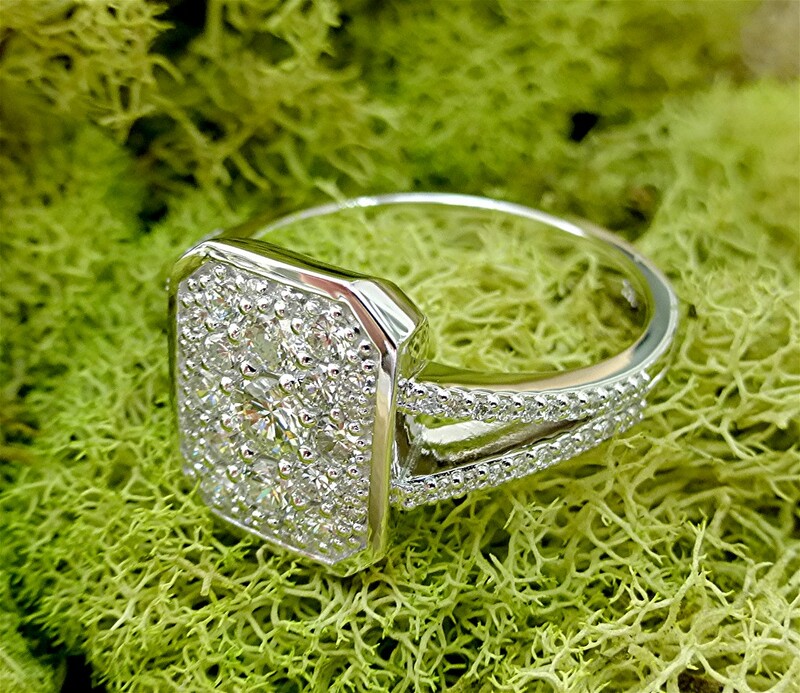 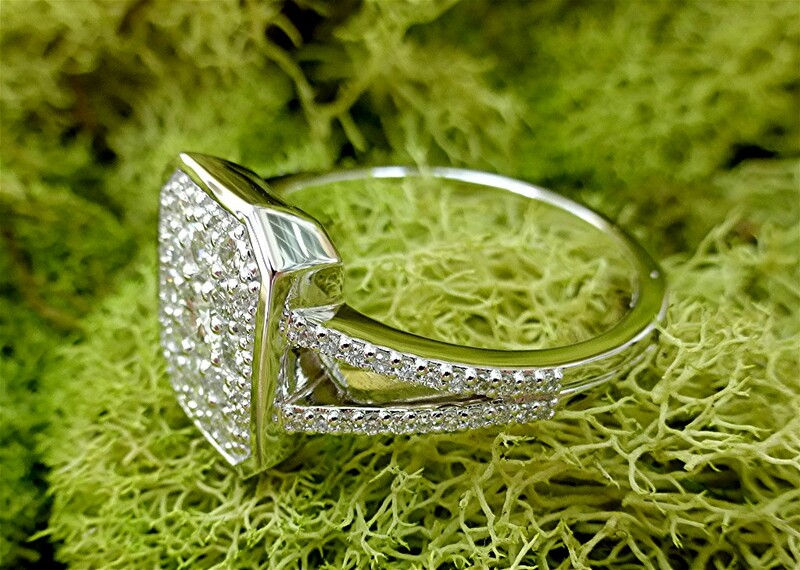 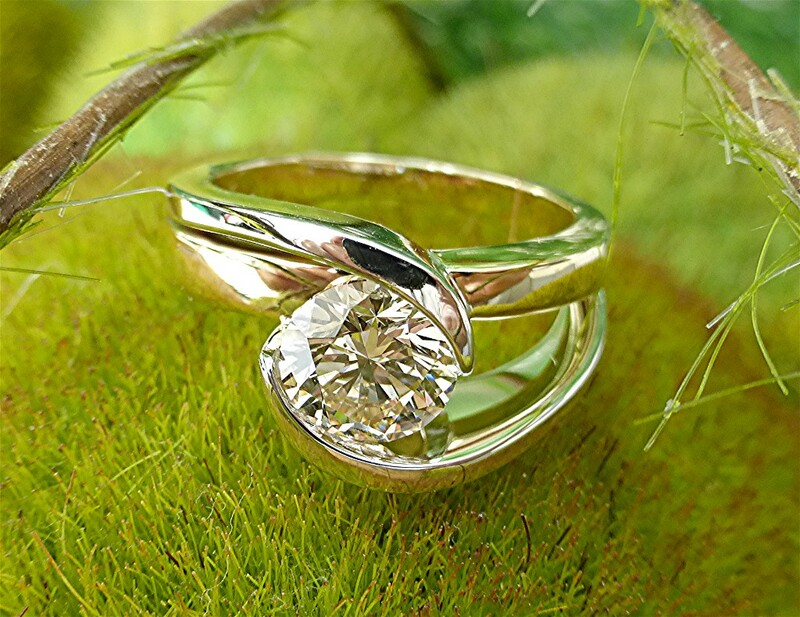 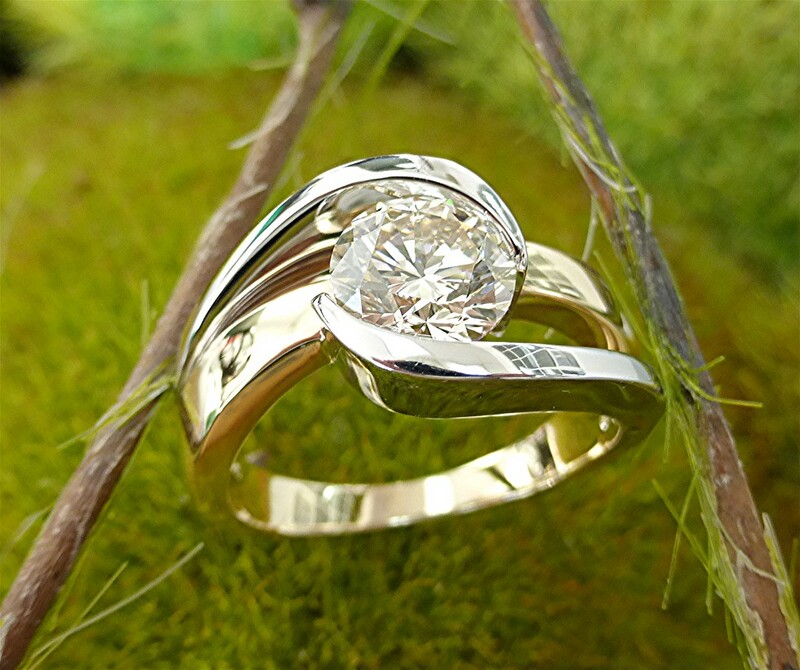 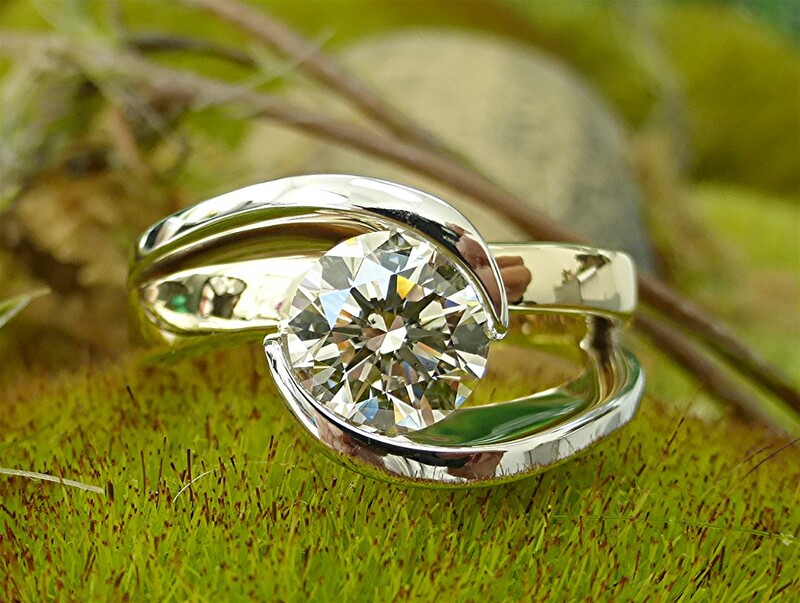 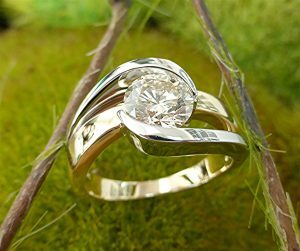 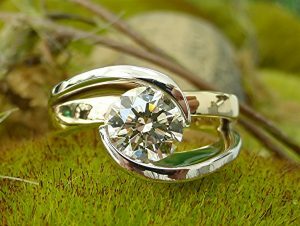 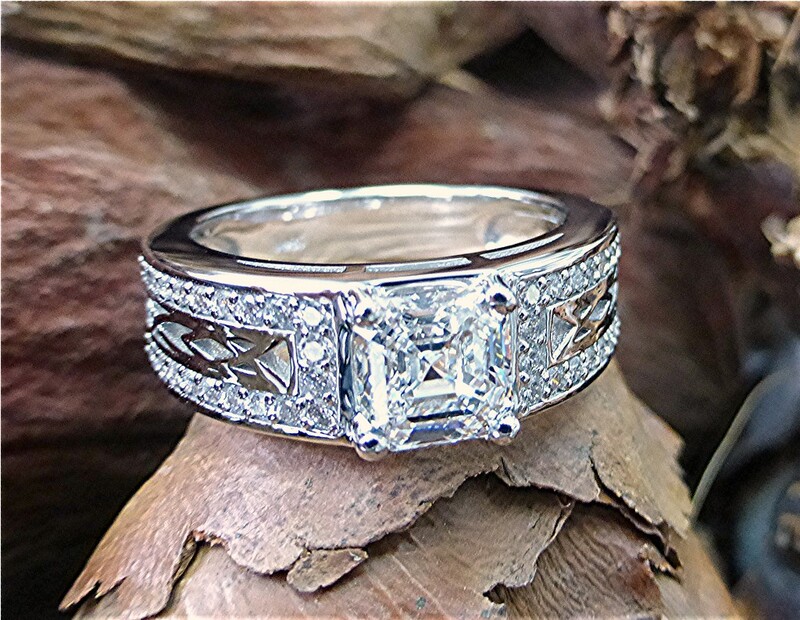 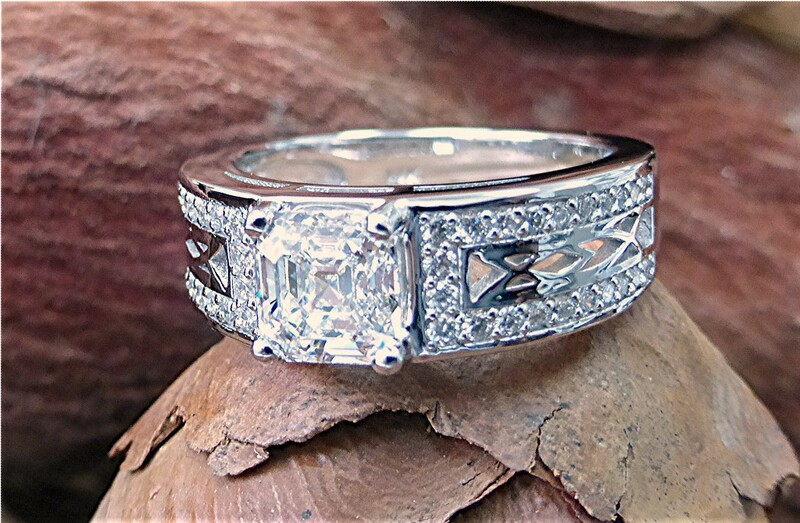 the extra 44 more smaller diamonds are supplied to create the split shank of ring. 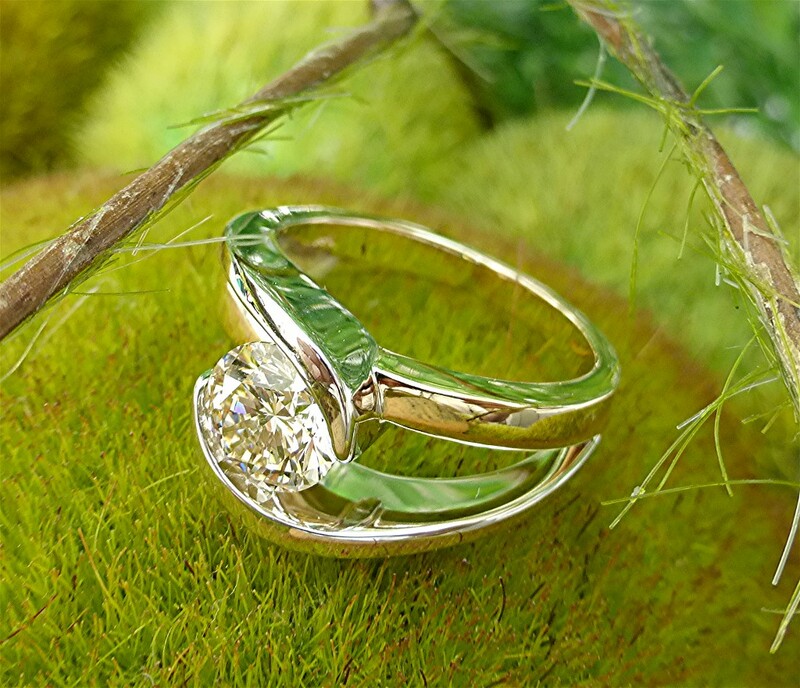 Total diamond weight is 0.98 carat mounted in14k whit gold. 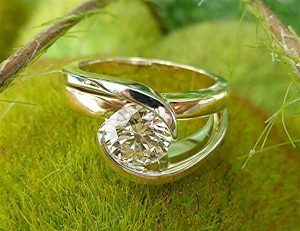 Center stone is 7 millimeters round brilliant cut diamond set in two tone 14k twisted channel set mounting. 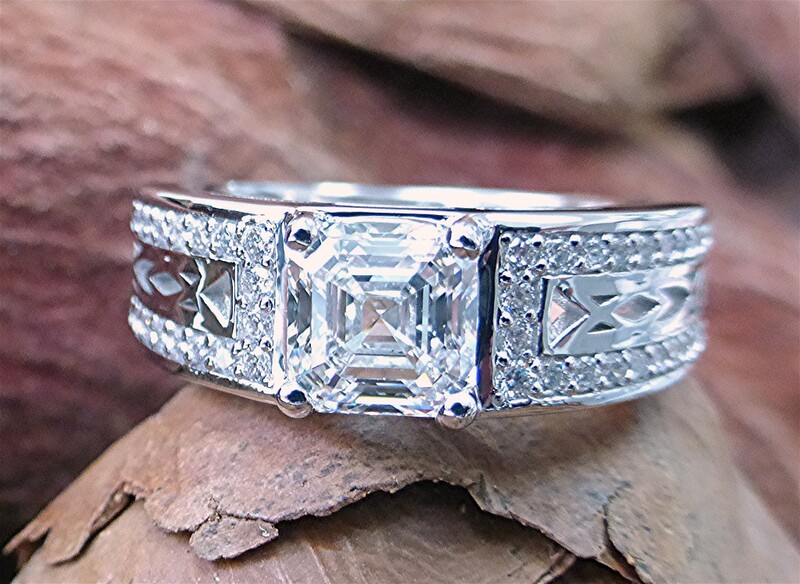 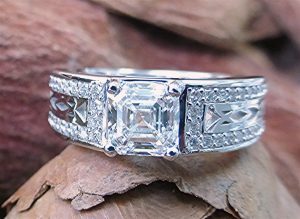 Center stone is 1.11 carat radiant cut diamond set in 14k mounting with two outer rows of 44 bead set round brilliant cut diamonds weighing 0.27 carat and filigree design on the shoulders.